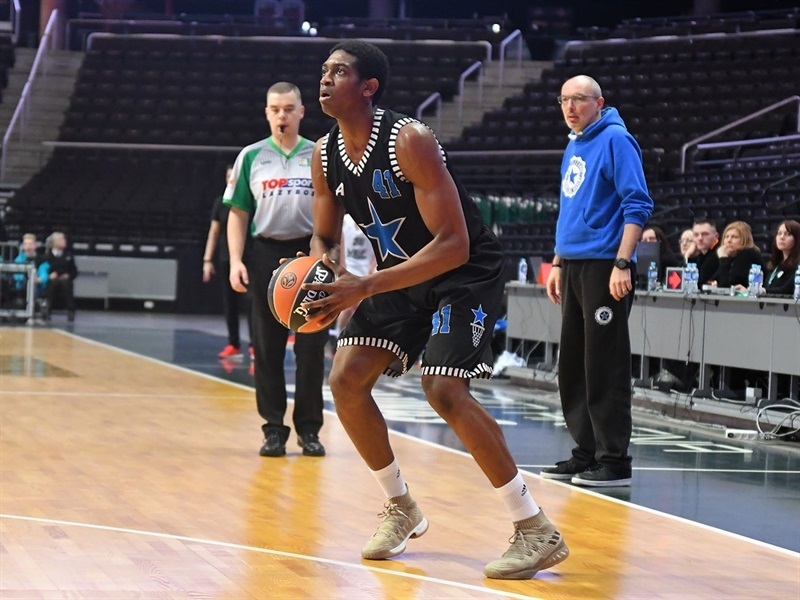 U18 Stellazzurra Rome opened the Euroleague Basketball ADIDAS NEXT GENERATION TOURNAMENT Kaunas with a 79-56 victory over U18 VEF Riga in Group A. Aristide Mouaha paced Stellazzurra with 25 points while Luca Conti collected 18 points, 13 rebounds and 3 assists and Paul Eboua chipped in 9 points, 15 rebounds and 2 assists. VEF could not handle Stellazzurra’s size, getting out-rebounded 56-36. 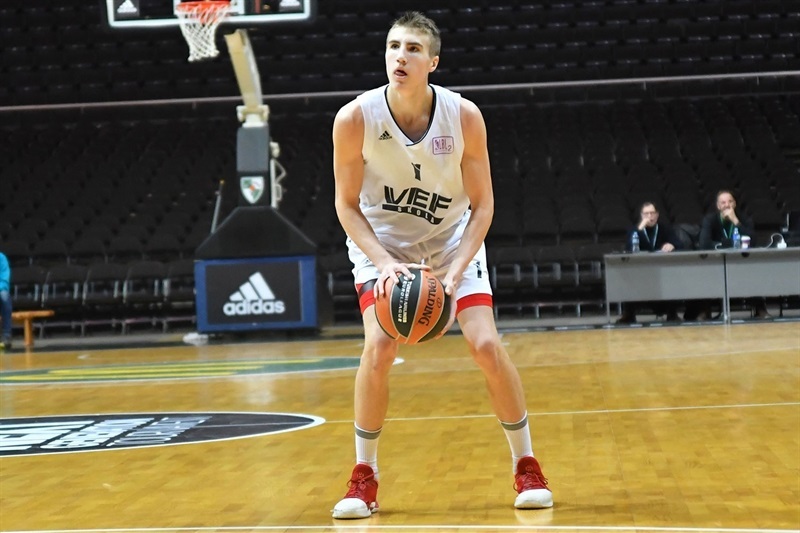 Rainers Hermanovskis led VEF with 13 points with Oskars Hlebovickis picking up 11 points and 8 rebounds in the loss. Stellazzurra from held VEF scoreless for the first 3 minutes and 5 points from Mouaha had the Italian side up 9-3. 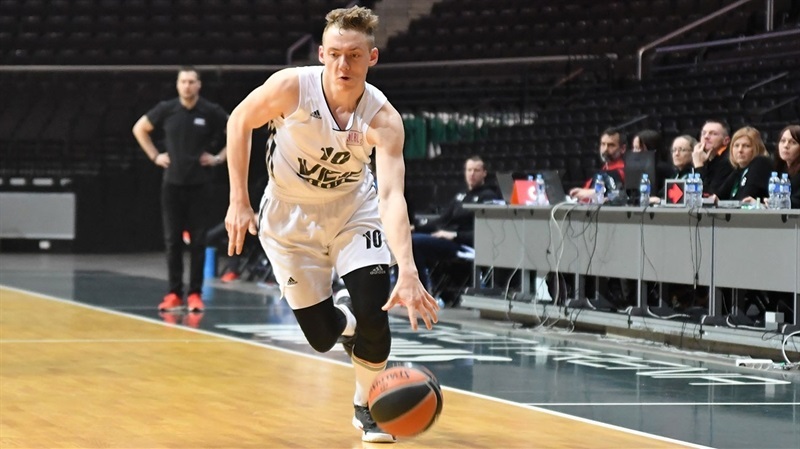 Emils Krumins nailed a three-pointer and converted a three-point play as VEF knotted the game at 14-14, and it was 20-16 in Stellazzurra’s favor after 10 minutes. 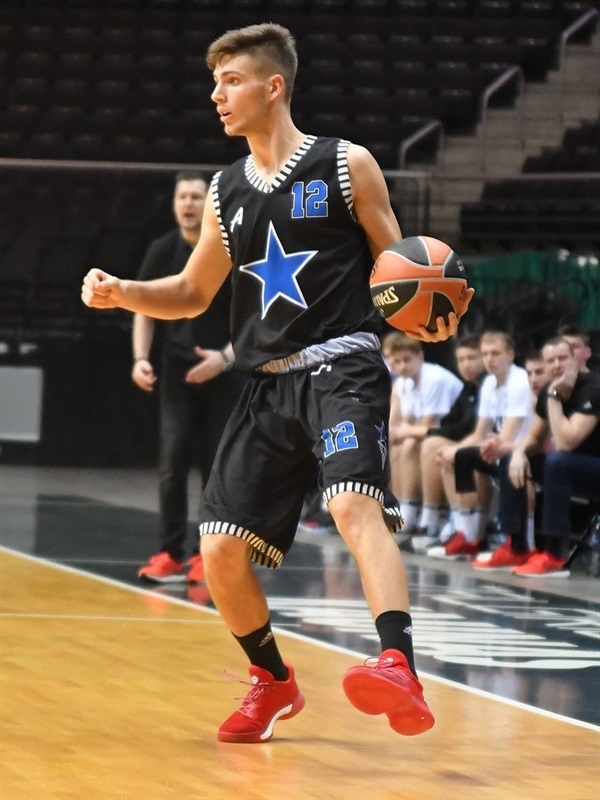 Stellazzurra used the three-pointer to pull ahead in the second quarter as Lorenzo Donadio hit twice from long range and Giovanni Ianelli also nailed a triple in building a 36-21 lead. And the gap was 40-28 at intermission. 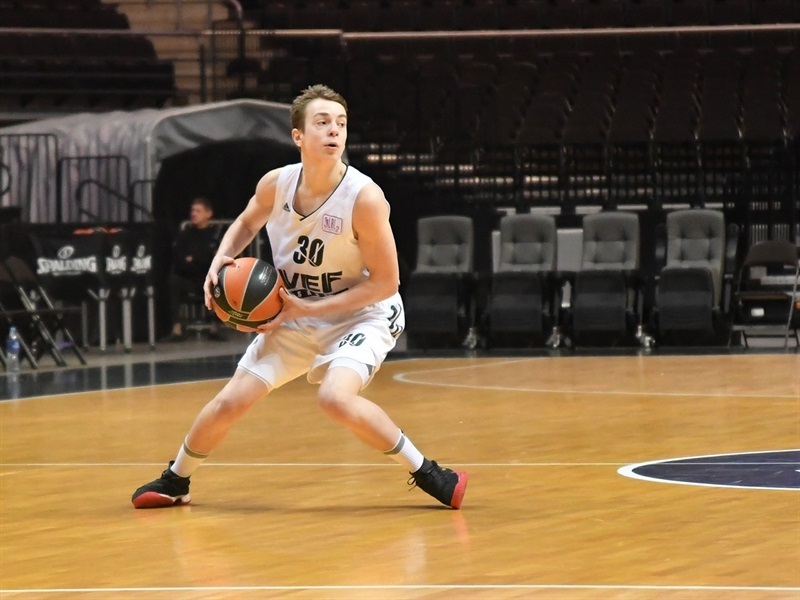 Two baskets from Rodrigo Bumeisters helped VEF close the deficit to 42-36 early in the third quarter. But Stellazzurra allowed just two scores in a 5 minute stretch to open the margin to 56-42. It was 56-44 after 30 minutes. 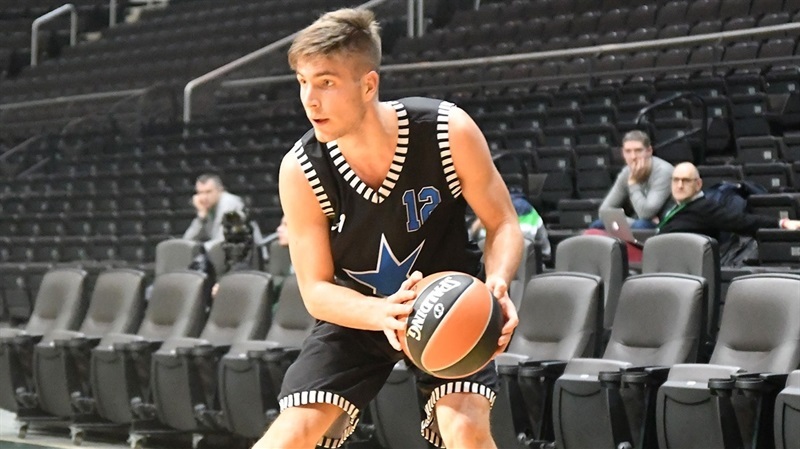 Conti knocked down two three-pointers in scoring 8 points in a 14-0 Stellazzurra run early in the fourth quarter to put away VEF with a 70-46 advantage. 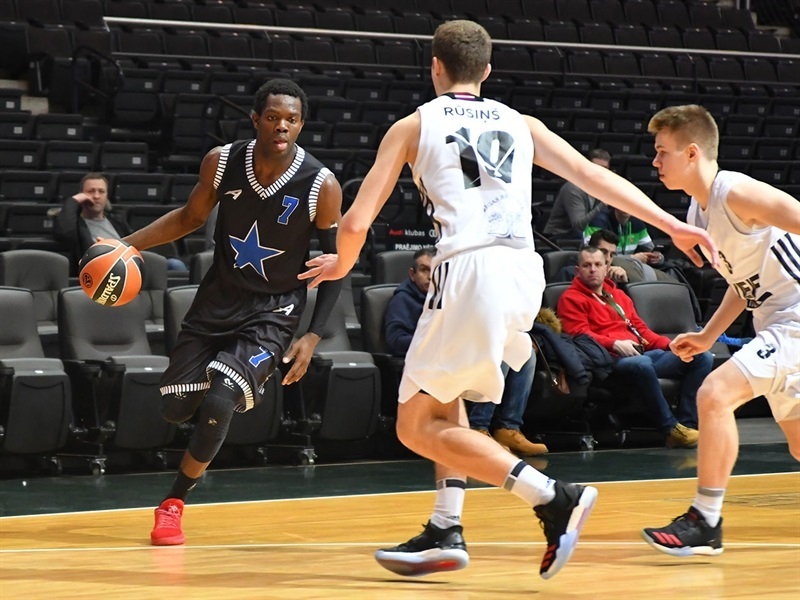 VEF would not get closer than 18 points the rest of the way.